The Advisory Council provides advice on the strategy and focus of our work. Members are invited on the basis of their experience and expertise in research and policy on African agriculture. 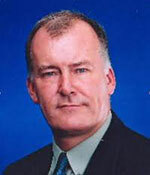 Peter Ballantyne is the Head of Knowledge Management and Information Services at the International Livestock Research Institute (ILRI). 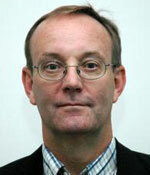 Before joining ILRI, Peter was Director of Euforic. 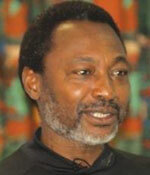 He has also worked at the World Bank, in the CGIAR at the International Service for National Agricultural Research (ISNAR), the European Centre for Development Policy Management (ECDPM), the International Institute for Communication and Development (IICD), and the International Network for the Availability of Scientific Publications (INASP). John Barrett is the Chief Professional Officer for Climate Change, Environment, Infrastructure, and Livelihoods at the UK Department for International Development (DFID). Dyborn Chibonga is the CEO of the National Smallholder Farmers’ Association of Malawi (NASFAM). Prof Conway is Professor of International Development at Imperial College and Head of the Agriculture for Impact programme. 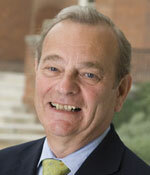 He has been President of Rockefeller Foundation, Chief Scientific Adviser to DFID, Chair of IDS and Vice-Chancellor of the University of Sussex. Dr Kroma is Assistant Director General – Partnerships, Capacity Development, Impact and Extension at ICRAF, the World Agroforestry Centre. She has previously worked at the Alliance for a Green Revolution in Africa (AGRA) and as Assistant Professor in the College of Agriculture and Life Sciences at Cornell University, USA. 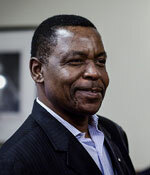 Dr Olukoshi is Director of the UN African Institute for Economic Development and Planning (IDEP); Interim Director of Africa Governance Institute; and former Executive Secretary, CODESRIA. 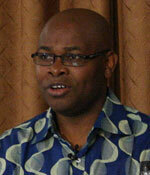 Prof Oniang’o is Editor-in-Chief, African Journal of Food, Agriculture, Nutrition & Development. 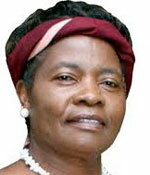 She was a Member of Parliament in Kenya and a Professor at the Jomo Kenyatta University of Agriculture & Technology. 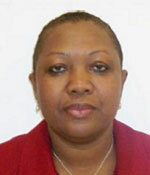 Prof Rukuni is Executive Chair of the Mandi Rukuni Seminar Group. He was Dean of Agriculture at the University of Zimbabwe and Regional Director of Africa Programs at W.K. Kellogg. Dr Sibanda is CEO and Head of Diplomatic Mission at the Food Agriculture and Natural Resources Policy Analysis Network (FANRPAN). 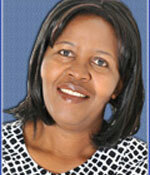 She is also Board Chair of the International Livestock Research Institute (ILRI). The late Professor Kwadwo Asenso-Okyere was a member of the advisory committee until his death in May 2014.